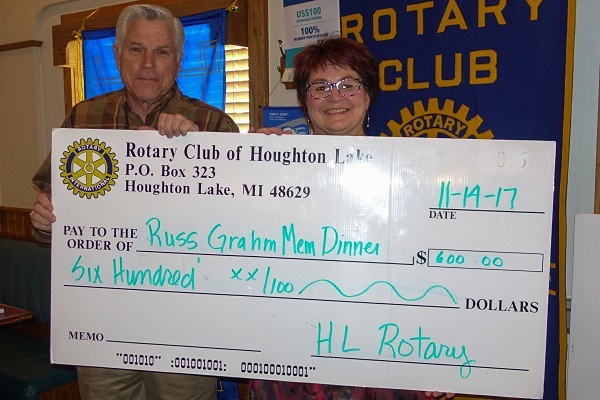 Lee Prindle of the Houghton/Higgins Lake Elks Lodge spoke to the Rotary Club of Houghton Lake regarding the 15th annual Russ Graham/Matt Grover Memorial Thanksgiving Day Diner. 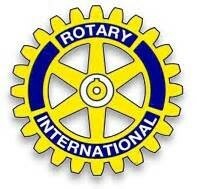 The primary donors are Family Fare, the Rotary Club of Houghton Lake, and the Elks Lodge. Lee, with the assistance of many volunteers, provided 260 meals at the lodge and delivered 275 meals to local families. Lee was presented a $600 donation from Rotary Club of Houghton Lake President Denise Stefanko.